Charles Linden, the creator of the ‘Linden Method’, an anxiety recovery program, has created a book and DVD to support those who want tools to help them live a stress-free life. In this DVD, he takes you through different difficulties, using many methods that will be helpful for beginners who don’t know how to find relief or how to begin the process of balancing life and their inner world. Although this does not go into great detail, it is a great starting point for further research and support towards transforming your life. The DVD includes 2 discs and takes you through those areas which can exacerbate stress in your life. Exercise, beauty, panic attacks, power sappers, conscious choices, environment and behaviour. Past, present, future of you, smoking, money and stress, looking good, feeling great, balance and relationships. Feeling fulfilled, work time and you time, confidence, massage, alternative therapies, hobbies and fun, getting organised. Disaster or opportunity, collecting happiness, posture, avoiding confrontation, weakness and strength, goal setting. The DVD is well laid out, contains a lot of information and some great ideas for further research and stress-free living. Obviously a knowledgeable man, this DVD provides a stepping-off point for beginning a stress-free life. His down-to-earth communication style may make it easy for viewers to understand the concepts and topics he is discussing. I felt that the author/presenter spoke too fast on the DVD. As someone who experiences anxiety, I need to listen to a slow, soothing voice when taking in information. I would have liked a more in-depth explanation of the ‘Linden Method’ relating to anxiety, and for the DVD to be less brief in its explanations. While the country of Majorca was very beautiful at times, I did feel I was watching a travelogue, but this may help beginners to relate more to the topics discussed. Who Would Benefit From This DVD? 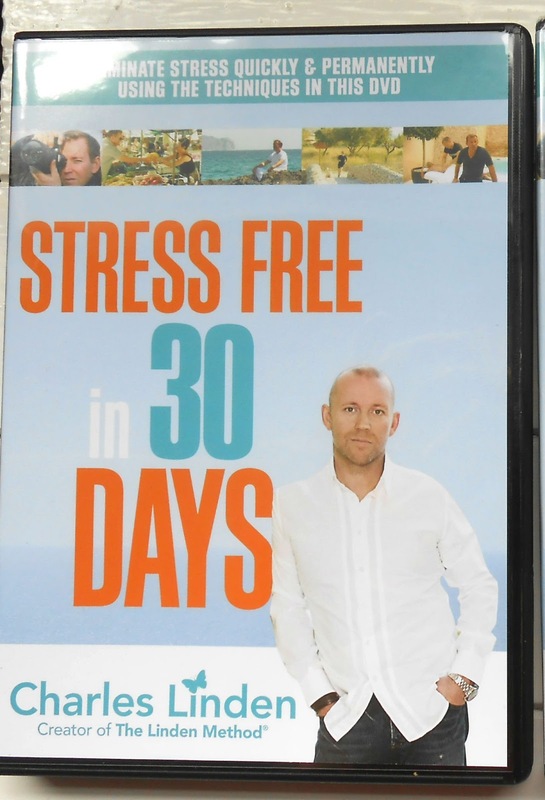 This DVD ‘Stress Free in 30 Days by Charles Linden’ covers a wide range of useful topics, which may be useful to those who are suffering from ongoing stress. It will be educational for those who need to find out about the various methods and therapies which are available. The author and presenter, Charles Linden, has obviously devoted much time and effort into researching what is available out there, in order to help people, and he certainly includes a lot of information in his DVDs. This DVD would be great for anyone who has little awareness of how to reduce stress in their lives; a perfect guide to a new beginning based on greater inner peace and balance. 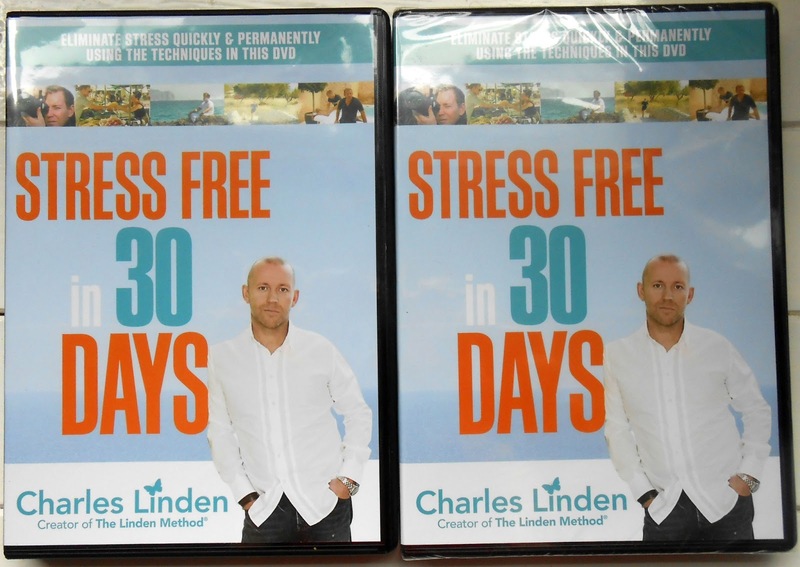 Post Disclaimer: I received ‘Stress Free in 30 Days’ DVD by Charles Linden from Hay House publishing in the UK. All opinions are my own. I am grateful for my health, my 3 children and a wonderful husband who is our rock! I am grateful for the opportunities I have had offered to me, four incredible little brothers and the people who believe in me even when I forget to believe in myself. my children, my life and my sanity! My family, my dogs, my life – they all make me smile and I know I'm lucky to have them! I am grateful for my children, my partner and my good fortune to have been born in the UK and not a 3rd world country. It seems churlish to complain when I have a roof over my head and food on the table every day. My husband, my baby and my family. My son, my family & the NHS. A happy home, a patient husband, a comfortable bed. My husband my son and my daughter! My gorgeous Husband for putting up with my mood swings, My beautiful Mum for her unconditional love and being my best friend and my freedom as I can do what I like, when I like. I'm grateful for my home, my friends and my family. My husband, my parents & the internet!